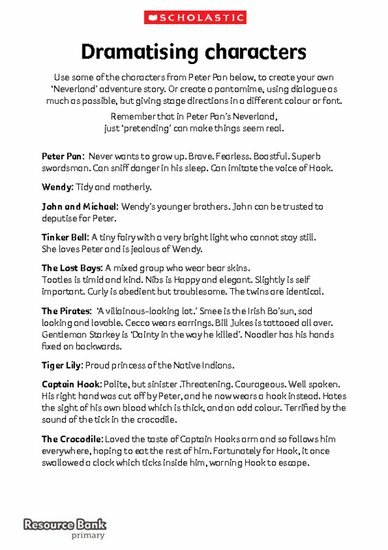 Use some of the characters from Peter Pan to create your own ‘Neverland’ adventure story. Or create a pantomime, using dialogue as much as possible, but giving stage directions in a different colour or font. Remember that in Peter Pan’s Neverland, just ‘pretending’ can make things seem real.